Summer is coming up so the sunglasses have already emerged full time. I love how this project came out because it is so versatile! I had original plans for this case, but halfway through I made some changes. If you don't have a Cricut, don't worry! 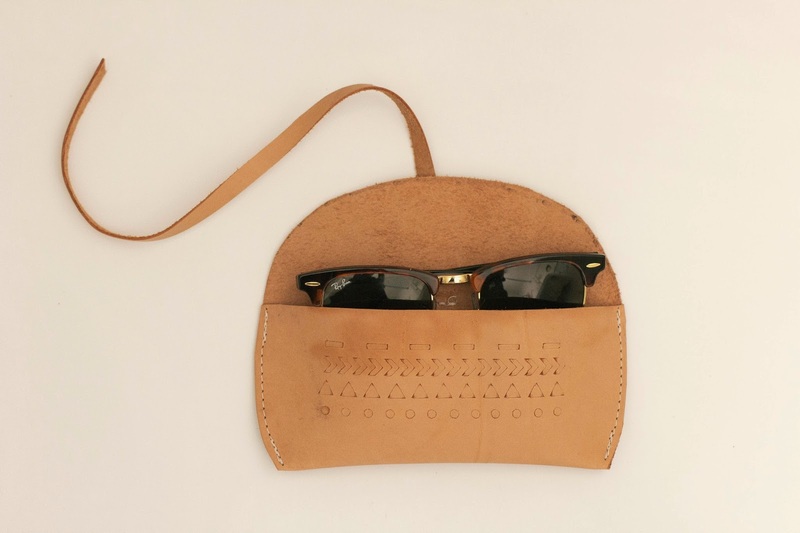 You can easily make a design on your sunglasses case with a paint pen or x-acto knife! 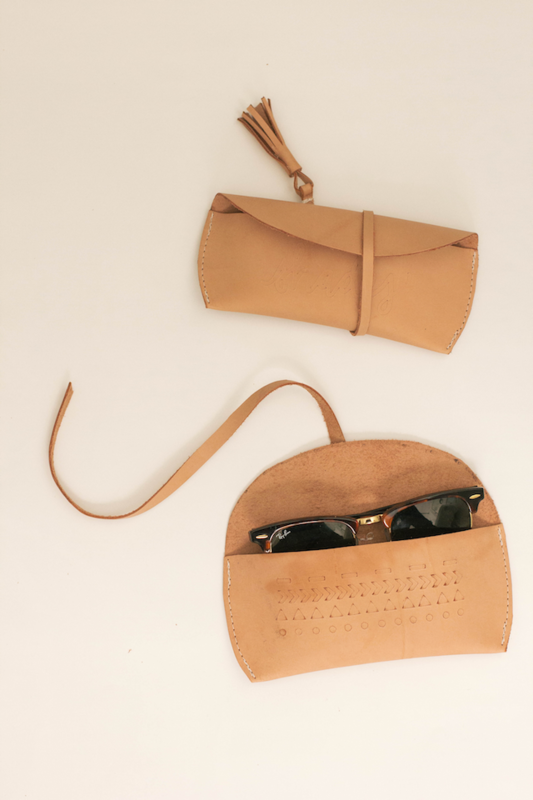 Materials: Leather (I used a veg tan), Cricut machine (optional) , X-acto knife, this template, Scissors, Sunglasses to measure, Sewing Machine. Process: Download and cut out template. Trace on the back of the leather and cut out. This is when you'll add any design you want. I used a Cricut to cut in a design and on one case I wrote "shades." Fold the bottom of the template (with the straight edge) up and line one side along the middle of the case and sew. Repeat this on the other side. Cut a 10 inch strip of leather and sew to the back of the case. 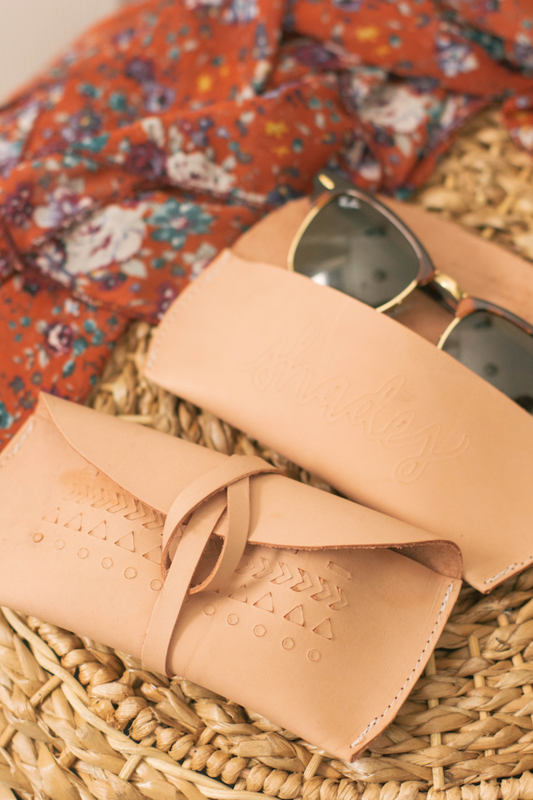 Put your sunglasses inside and you are ready to go! So great - love this!! I love how you used the Cricut to cut out the designs! How were you able to write "Shades"? What tool did you use? Hi! 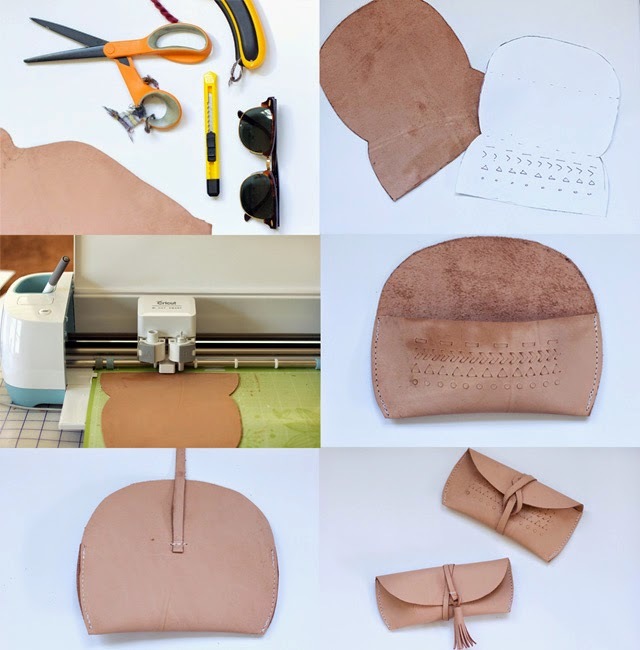 What weight of leather do you recommend for this project? Thanks! A thin leather, about 2 oz would be perfect! This turned out really beautiful! Did you use the fine point blade or the deep cut? It did not cut all the way through, correct?